Don't be deceived, just because the flute is an instrument on the smaller side with a delicate and soft sound doesn't mean that those who play them fit the mold. We are dangerous and can lure you in with our siren song to make you do our bidding. So fear the flute, it's for your own safety. 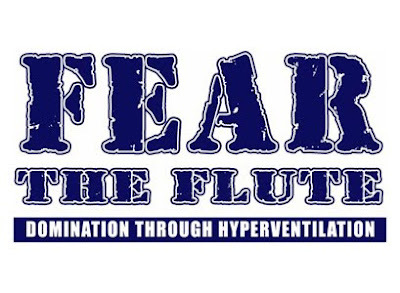 Brand: Fear the flute is printed on a Gildan 2000 ultra cotton t-shirt.